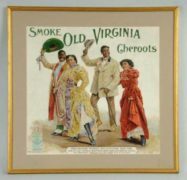 Featured is an early tin sign from the Hirschhorn Mack and Company Cigar Makers in New York City. This sign features the commonly used logo image of Mr. George in the center. 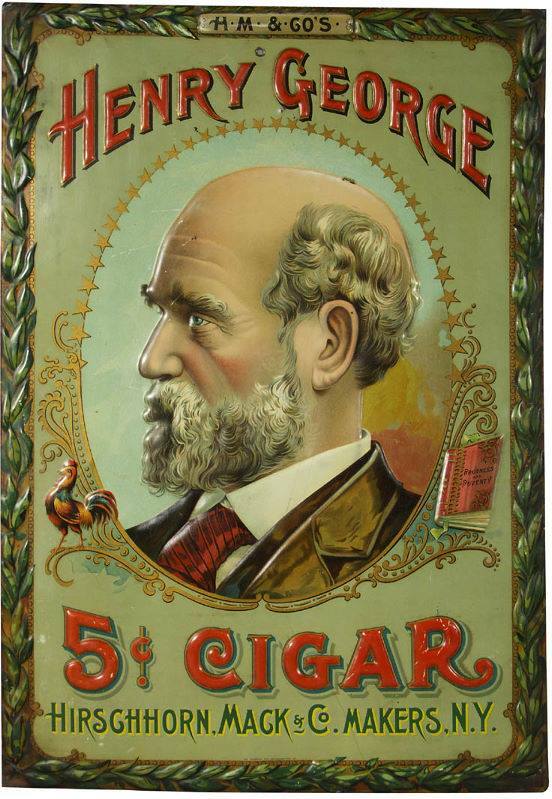 Just about every Henry George Cigar advertising item I have seen prominently features the same image in the advertisement. The Henry George Cigars typically have a 5 ct. denomination in the advertisement also. 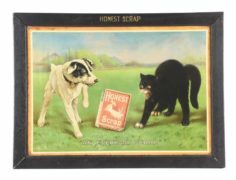 Tin sign featuring the famous dog and cat in an Honest Scrap. 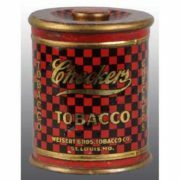 Chewing Tobacco Cut Plug Product. Circa 1920.